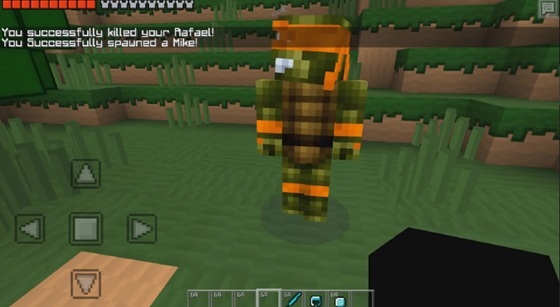 Minecraft PE 0.9.5 - Mod Super Ninja Turtles! 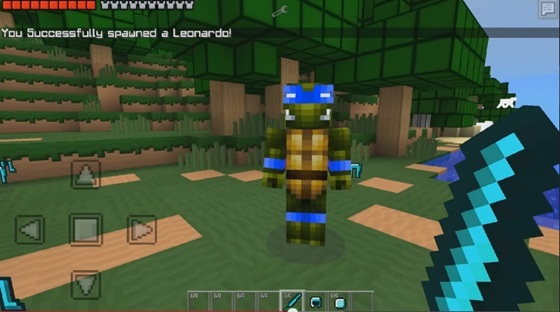 For-Minecraft.com » Mods for Minecraft Pocket Edition » Minecraft PE [0.9.5] - Mod Super Ninja Turtles! 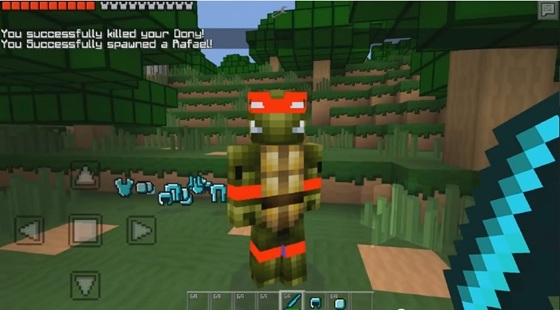 Minecraft PE [0.9.5] - Mod Super Ninja Turtles! Welcome to the review of the new mod for our favorite Minecraft Pocket Edition. So, in this article I will observe mod titled Super Ninja Turtles! I just love the Teenage Mutant Ninja Turtles. I just glanced at the new trailer for the Turtles from Michael Bay and he, frankly, quite a disappointment to me. They look ... Not much, to put it mildly, of course they should be mutants, but they are some ... Huge? Giants. In general, Michael Bay, thanks for ruining my childhood. Thank you. Okay, let's start already. Okay, there is a cow. This is a good sign. Total turtles, of course, four, mod is still in beta stage, so that in the future we can expect some kind of novelty. 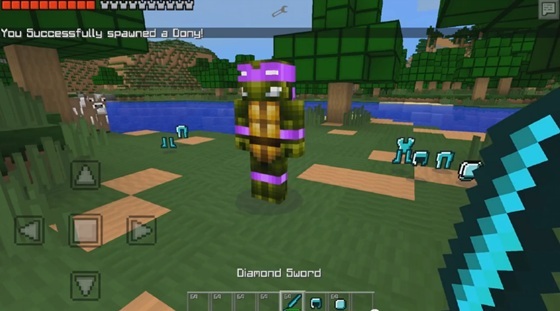 If you want to spawn all the turtles at once, you will need to enter their id mod TooManyItems or something like that. Load faster ... faster! Okay, I will do so ... so ... so. Yeah, now hear the sound! I do not know why he is always minimal. And here it is - Leonardo. Hello. Damn it ... Hey! Leo! You just take a look at it, ha ha! Want some candy? Want some candy? Come with me. "Okay, sir." Mmm, it will be fun! "My mother told me not to talk to strangers!". Your mother does not know anything! "No, sir! Enough! You better run! ". Okay, so here. That was easy. And here. Of these turtles drop good subjects. After they left the diamond armor, and it is pretty darn cool. 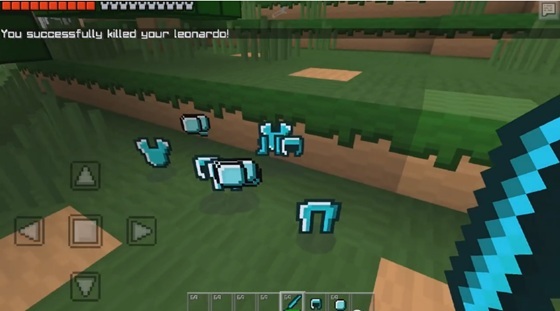 STEREO FOR MINECRAFT POCKET EDITION 0.9.XThis cool and very interesting script will add to your Minecraft Pocket Edition 0.9.5 player and records. With this script to use easy: just put the player, then the player Tap plate on it. how do you download it on the Pocket edition on a tablet? ?. and I'm a Tmnt fan by the way so Booyakasha!